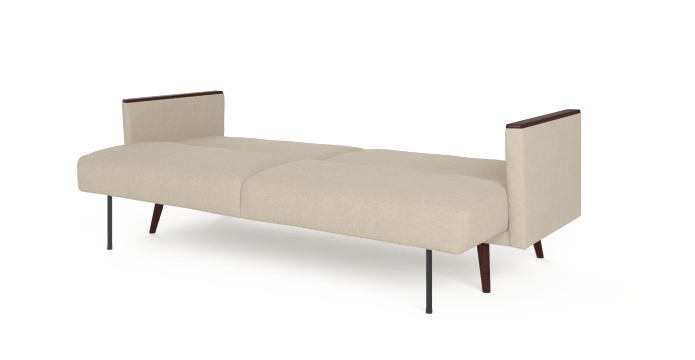 The Draper Sofa bed is a classic look with a twist. The fine balance between a timeless design and functionality. Match it with any other living room furniture. 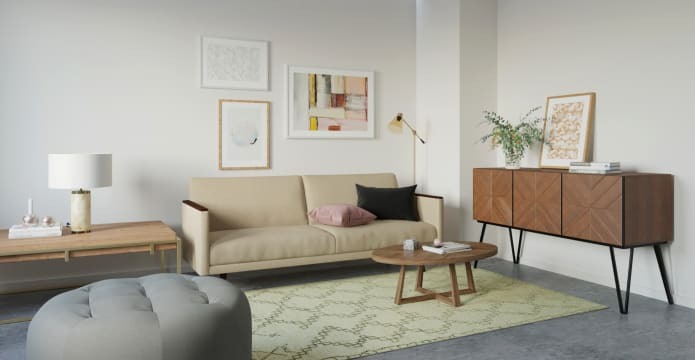 The Draper Sofa Bed is available in a range of upholstery colours that stand the test of time. 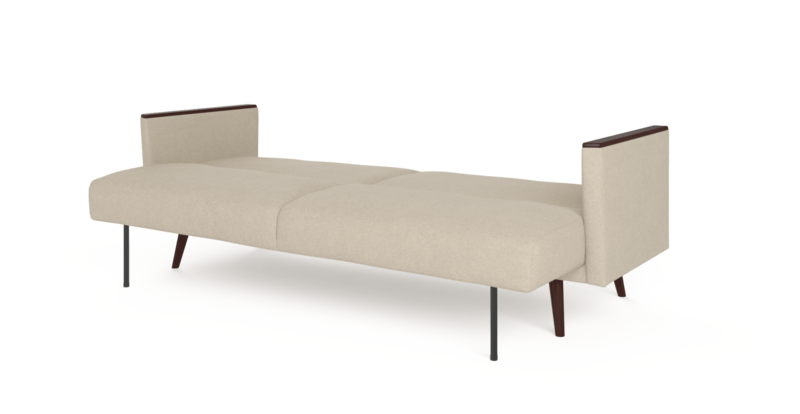 Legs are crafted from hand-selected solid birch with a classic dark brown finish. Functional? 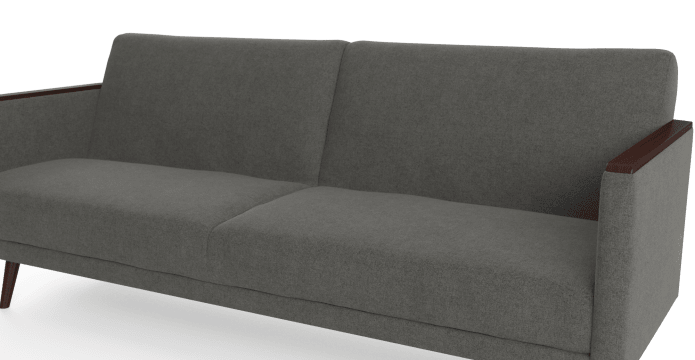 Whether guests are cheerfully invited, or suddenly arriving, this Draper Sofa Bed quickly transforms from a classic looking sofa into a bed. Just a few quick moves and the bed is ready and set. A couple more seconds in the morning and your room is back to normal. 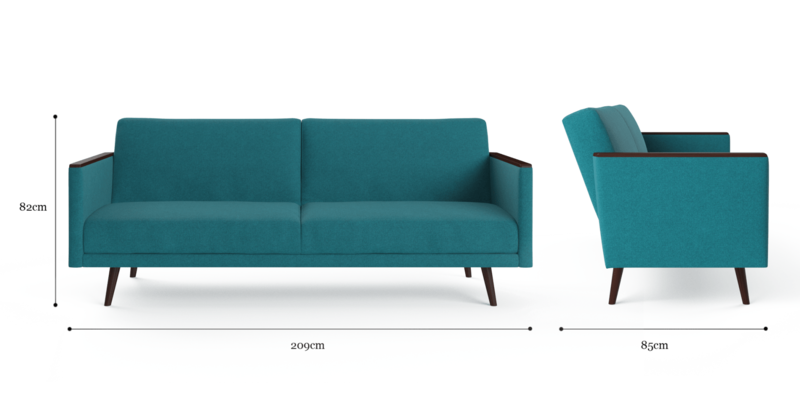 The Draper Sofa Bed is designed to match any classic traditional looking interior, but don't limit yourself from being creative. Try it in any room of the house. Great quality. Love your products, delivery was fabulous, delivery man was lovely and so helpful. I've recommend you to all my friends and will definitely buy from you again. 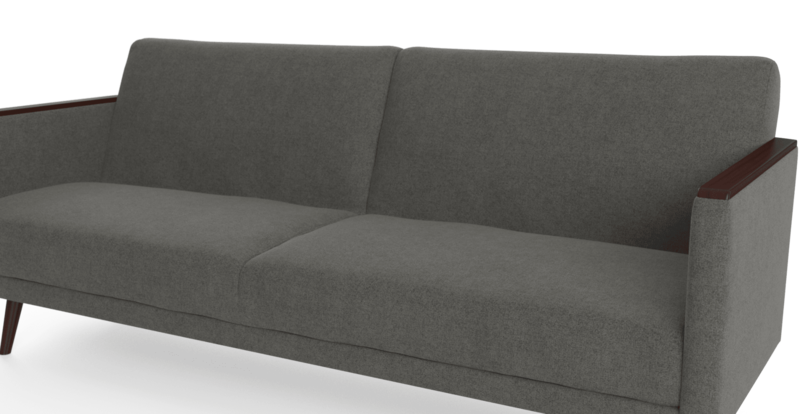 See, touch and feel our fabrics used on our Draper Sofa Bed. For Free! Simply select up to 3 fabrics and add them to your cart. Delivery is on us.